I have been out of Daring Bakers’ scene lately. Not only that, I have’nt been doing a lot of baking and blogging too. Reason being guests, lot of travelling and sickness. I am back and active and I plan to cover a lot of things specially the last two DB challenges. For now, this month’s challenge which again turned out to be my favorite. This is going to be a long post, I warn you. 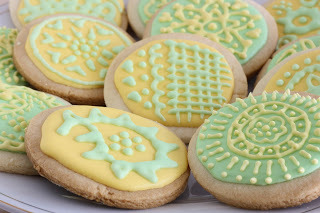 Not only because generally DB challenges are lengthy but making and decorating Sugar Cookies is a dream of every baker. 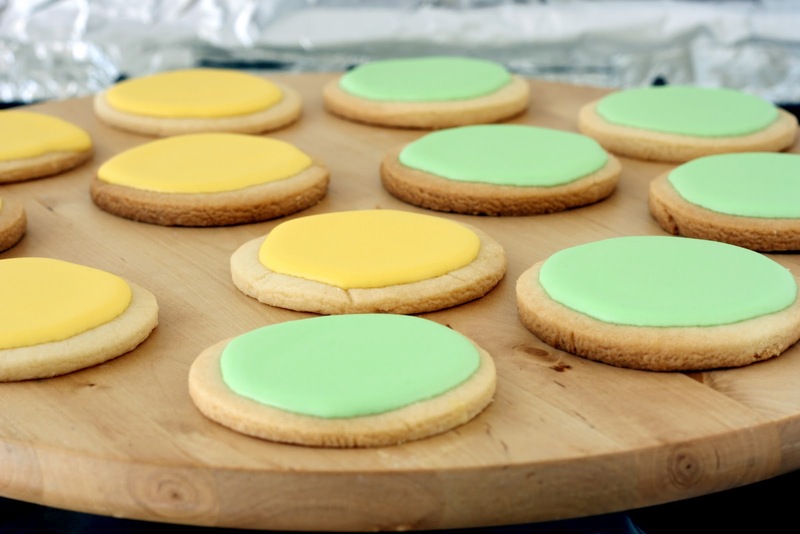 Perfecting the sugar cookies can be a really rewarding experience owing to the versatility you can add in terms of flavors, shapes, decorating etc. I have previously posted about sugar cookies here and have also attempted to make cookie pops decorated with royal icing here. I am glad that I found out this recipe of sugar cookies since they turned out perfect. Just a little sweeter given it will be decorated with Royal icing. 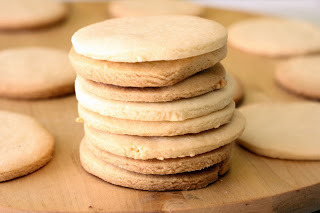 Other than that the recipe is perfect and if ingredients are measured accurately and tips are followed, they are sure going to become your family favorites. They can make great giveaways individually wrapped in cellophane or decorated according to any special occasion. For this challenge, we were given theme ‘September’ whatever that means to you. For me, since I have just come back from vacations in Karachi, Pakistan and had the most wonderful time celebrating Eid with our families after a long time. Eid, by now most of you know is the most important festival of Muslims and mark the end of holy month of Ramadan. This Eid also called Eid-ul-Fitr have many festivities related to it. Scrumptious food, new clothes, home renovations, charity and meeting family and relatives. Among them colorful bangles and henna or mehndi. 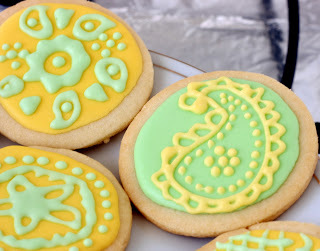 My decorated sugar cookies are also inspired by mehndi which me and my 4 year old daughter absolutely adore. 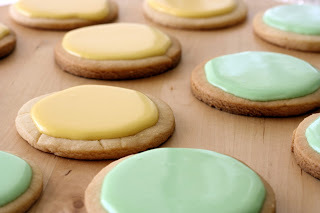 Below you will find recipes, although for royal icing, I use meringue powder instant of raw egg whites. You can find the recipe in this post. Also included are the tips and some pointers. Please take time to explore, since its really very useful and once you master the art of decorating cookies, you will very proud of yourself. Before you delve into sea of recipes, tips, method and information below, the following resources are worth checking. And did you know you can make your own cookie cutters? The content below is the courtesy of Daring Bakers forum. Decorating Your Cookies: Royal IcingThe most important thing when it comes to decorating with Royal Icing is the consistency. Gorgeous cookies! You worked really hard on those designs! Beautifully accomplished! 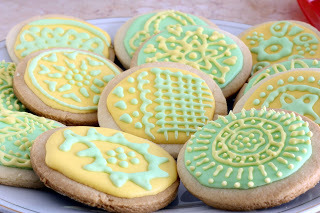 I love how intricately decorated your cookies are! Mehndi is absolutely beautiful and I love that it was your inspiration. Great job on the challenge! very nice i really like these design for mehndi. can I use these design for next eid. 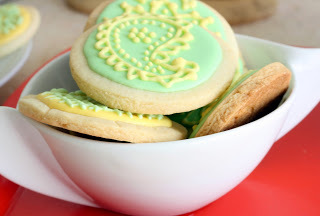 Amazing cookies, what steady hand you must have! Very original designs. Wow! That is so amazing, I love the mehndi inspired cookies. ANd gorgeous colours too. Happy Eid! And these are truly beautiful menhdi decorations! 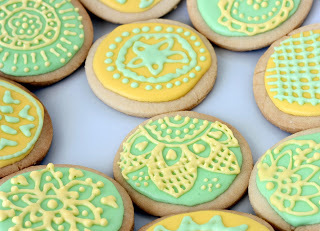 These are absolutely gorgeous cookies! I love the intricate piping work! Thanks for commenting on my blog! Really appreciate it! Your cookies are over the top pretty Nadia, very very nice. Glad to know you are back to DB! 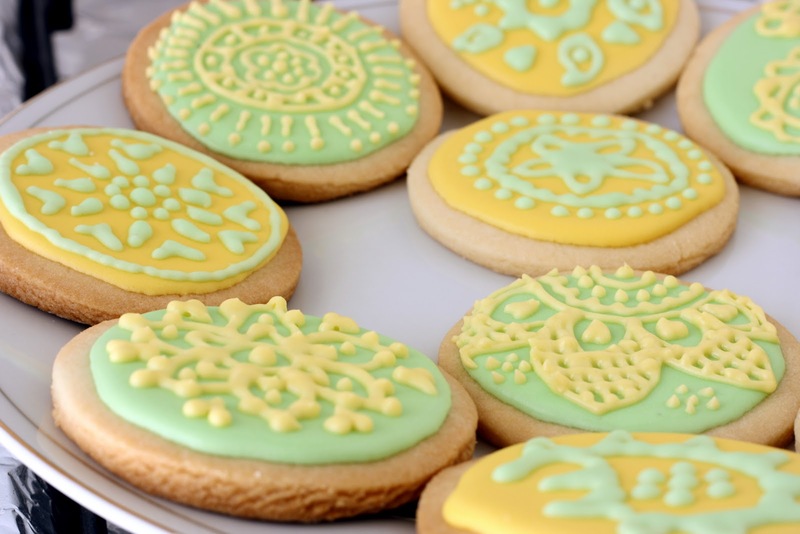 I'll add to everyone else's comments that your cookies are just beautiful. The colors are lovely and the design is amazing – every time I see menhdi I'm so impressed by the intricate detail, which you reproduced so well. Also, thanks for commenting on my blog!